Broadcasting newcomer BT Sport will formally launch next week, rivaling Sky with an impressive line up of sporting rights, which it's offering free to BT Broadband customers. 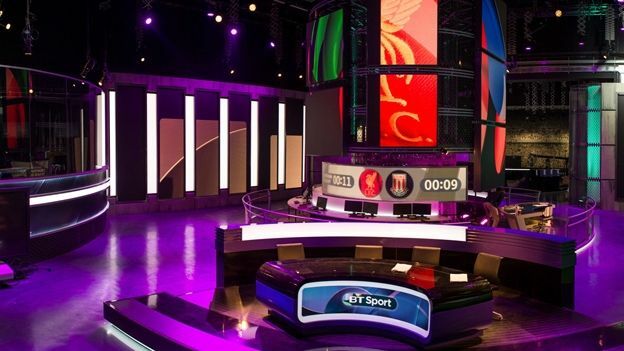 BT snapped up ESPN's UK channels in February and has the rights to 38 live Premier League games, as well as exclusive rights to Aviva Premiership rugby union, tennis and MotoGP from 2014. The channel has invested in a huge new studio in East London, just a stone's throw from the Olympic Park, which will broadcast on three channels. It's also wooed Jake Humphrey and Claire Balding from the BBC as well as ex-England rugby captain Lawrence Dallaglio. In an exclusive interview with T3, Mark Coyle digital boss at BT Sport spoke about how technology and digital innovation was 'woven through' BT Sport, from social media to second screen experiences via their mobile app. Coyle said that the app – which will be released for iOS and Android on Aug 1 – is the beginning of an ambitious mobile offering. It's not just camera and mobile tech that's on BT's mind and social media has also been a key part of the channel's output. “Social media is now critical, you'll go a long way to find a broadcaster without social integration. With BT Sport, social media isn't bolted on, it's woven through everything we do,” he said. Coyle said that BT Sport has worked with a range of companies to make sure that viewers can interact with the presenters, and he's taken inspiration from the MLS and MLB coverage in the US, where stats and visuals are a key part of the coverage.